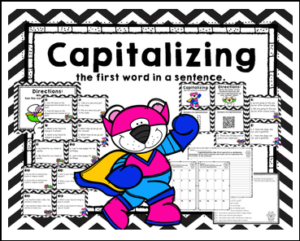 Set included task cards for students to decide which sentence is capitalized correctly. There is an answers sheet to record their answers on. White background set included to save on ink. This can be used as a Center, Early Finishers, Extra Practice, or a Scoot Game for the Whole Class.